For the past decade, Metallica has been beating bootleggers to the punch by offering high-quality soundboard recordings of nearly every concert they play as downloads on their own LiveMetallica.com. To commemorate the anniversary of the site, the group is offering CD's and LP's of every gig it played in 2014, mostly comprising its "Metallica by Request" tours of South America and Europe where fans selected the set lists. The group will be unrolling the releases in three-album batches each Monday through the end of the year in the order they played the shows, beginning with Bogotá, Colombia. It's also offering a box set of all 27 shows, which will ship in December. All sales will be conducted through the LiveMetallica website. Metallica's "By Request" tour was notable not just for allowing fans to select the songs the group but for allowing the band to premiere a new song. The group, which is currently concentrating its efforts on writing a follow-up to 2008's Death Magnetic, debuted "Lords of Summer" in Bogotá this past March. At the time, drummer Lars Ulrich told Rolling Stone that the song was "fairly representative of where our creative headspace is at right now." In April, he estimated that the band was in the "fourth inning" of the creative process for making the new record. In other Metallica news, the band recently set a Guinness World Record for touring, earning the distinction of being the first group to play all seven continents. 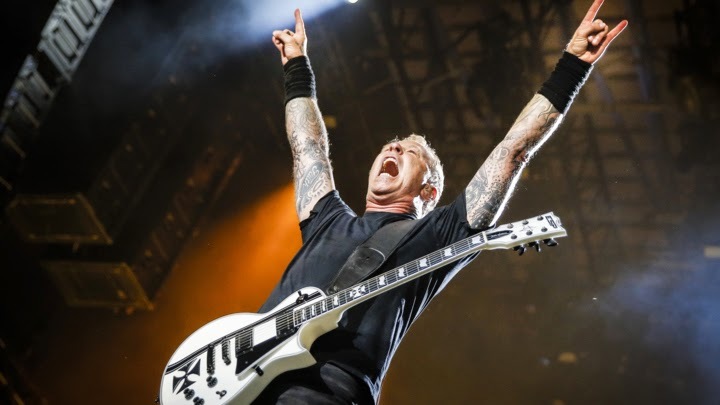 "Seven continents in one year with Antarctica being the gig of a lifetime...." Frontman James Hetfield said in a statement earlier this month. "Yes, 120 scientists and competition winners. Not to mention the 300 very curious penguins!"